An account of the change at The Times of India which changed Indian journalism too. Between them, the differing views of two of the most high profile ex-employees of The Times of India encompass the gamut of divergent opinion about Samir Jain and the revolutionary changes he wrought in the newspaper. Jain transformed not only the Times, but, as other media barons rushed to emulate him, the times as well. 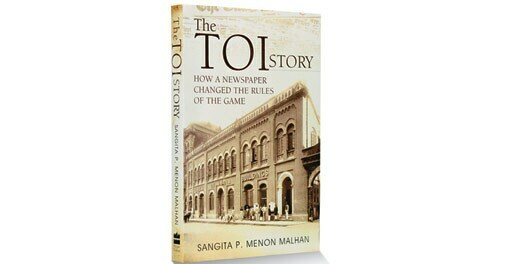 Though calling itself The TOI Story, Sangita P. Menon Malhan's book concentrates almost entirely on the change, relegating the rest of the TOI's 175-year-old history to one and a half cursory opening chapters. That history is dramatic in its own way - the TOI's launch by a consortium of 11 British companies, two barristers and a doctor to publish strictly business news, Ramakrishna Dalmia buying the paper from the British owners, the passing of control from Dalmia to his son-in-law Shanti Prasad Jain - but it has been told before. What Malhan sets down is fresh and delicious, a tale full of drama and intrigue, with an incredibly complex protagonist at the centre. In 1985, around the time Samir Jain began asserting himself, the TOI had a circulation of a little over 560,000 with three editions; by March 2012 this had risen to 4.5 million with 14 editions. Once just a newspaper, with a few satellite publications, the TOI has been changed into a wildly successful brand and a media empire. Malhan expertly sketches the context and background to Jain's decisive interventions - the government's increasing influence on the paper, the allegations of impropriety against the owners, the seven 'zero years' in which all the family businesses of the Jains, barring the paper, seemed to be declining and above all, the disdain with which senior TOI journalists treated Samir Jain and which may well have conditioned his ruthless response. As he took charge, any senior functionary who did not share his vision had to go, while scouts went around cherry picking fresh journalistic and marketing talent from across the country. From the TOI, Jain moved on to overhauling The Economic Times and Navbharat Times and thereafter the magazines too - all the unprofitable ones were shut down while Femina and Filmfare underwent major makeovers to continue. Malhan, who herself earlier worked with the TOI, has talked to numerous former and current employees of the paper to put together her story. She sums up Jain's approach succinctly in her prologue: "The break that Bennett, Coleman and Co (the company that owns the TOI) triggered was built around the idea that the media was also a business like any other. Like any business it had to identify who its customers were, how its products and services would bring value to them and how much the business would make in return. As in any other business, it would have to compete with other companies, create its own value proposition and safeguard its bottom line." This outlines the core of Jain's approach. The success rate of TOI's initiatives in the past three decades has been uncanny. It can be attributed, says Malhan, "to its guiding mantra - stay relevant and profitable".